What is this 100% promotions all about? 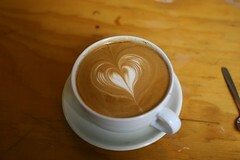 Order any Coffee (non-alcoholic) beverage, and you will get EXTRA 100% FREE. Tell them SPECIFICALLY you want the “Coffee In Malaysia” promotion. Your FREE coffee beverage must be of the same value (thus 100%) or lower (if you wish). Only applicable to non-alcoholic drinks. Not applicable and cannot use with other existing promotions. Promotions runs from 19th Dec 2009 to 1st Jan 2010. After you went and enjoyed the promotions, come back here and put in your comments or review. Tell us your experience there. Include picture if you can. The best comments or review will get a special Christmas gift from this blog. 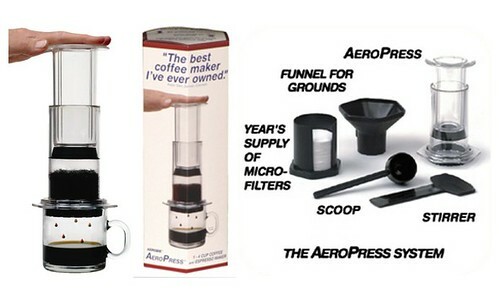 The excellent Aerobie Aeropress worth RM195.00 sponsored by Highlander Coffee. 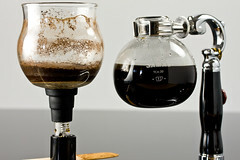 Sponsored by Coffee Ritual, a Hario Dripper V60 + Hario Paper Filters (100 pieces unbleached) and 200g of Costa Rica fresh roasted coffee beans worth RM88.00 in total. The best comments does not mean that you must say only good things. What we value here are good constructive comments, objective evaluations, creative writing and some good photos will do no harm. Judge’s decision (which is mine) is final. All for good fun, good cheer and good coffee. Don’t expect me to justify why I think someone deserve the prizes. This entry was posted in Malaysia on December 18, 2009 by KF Chan.